Did Supervisor Gonser try to mislead the citizens, or was he ignorant of the facts? “I am suggesting that the way it (Oakland Township) has been zoned does not preclude significant development. It is up to this Board to change that so it does not develop into Rochester Hills and Troy. RIght now, that is not necessarily true!”. 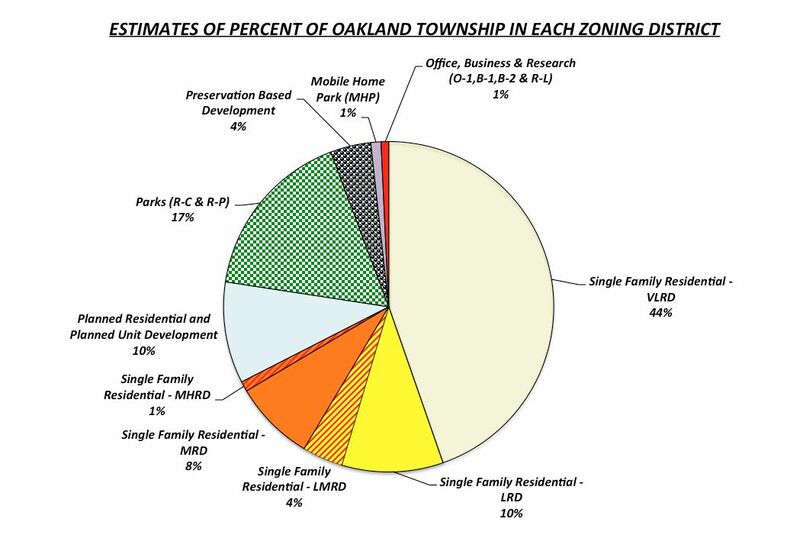 This post compares zoning information for Oakland Township, Rochester Hills and Troy. The facts demonstrate that Supervisor Gonser was wrong. His inaccurate statement raise questions about his competence as our leader and what he envisions for our Township. 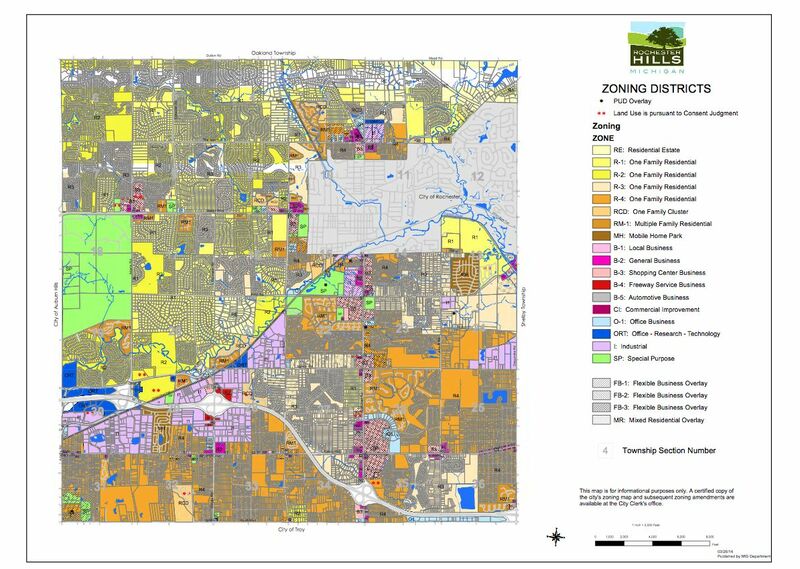 As stated above, Supervisor Gonser stated that Oakland Township could develop into a community like Rochester Hills or Troy due to our zoning ordinance. A previous post shows his complete statement. Trustee Bailey vigorously challenged the accuracy of Gonser’s statement. 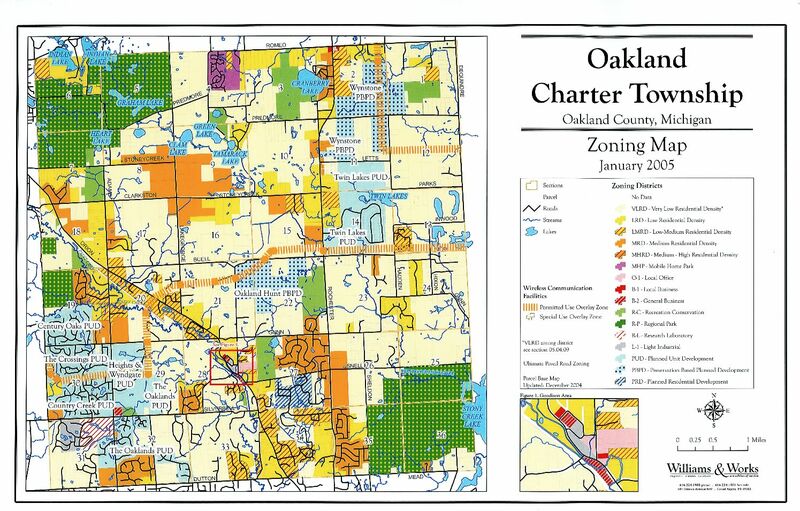 In order to help inform the citizens of Oakland Township with the facts, zoning maps and a number of comparative charts have been created and shared here. Here are the zoning maps for each of the three communities. Please click on the maps to view a larger version of them. 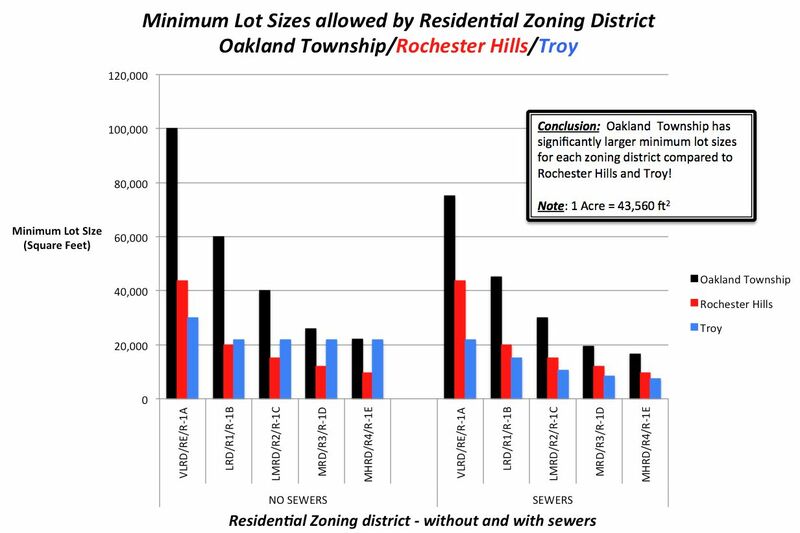 The chart clearly shows that Oakland Township has significantly larger minimum lot sizes than other communities. This did not occur by accident. Previous Planning Commissions and Township Boards established these levels in order to maintain the rural atmosphere of our Township while preserving the property rights of the land owners and wetlands. The data presented clearly demonstrates that Supervisor Gonser’s statement about our zoning is not only false, but extremely misleading. Why is this important to the citizens of Oakland Township? Supervisor Gonser’s inaccurate statement indicates that his stated desire to change the Zoning in Oakland Township is not base on facts, but on some, yet undisclosed, concept or ideology. The current Zoning of our Township was based on years of critical review by our citizens. The Township Board and the Planning Commission have the power to change it dramatically. Gonser and the Board have made appointments to fill the two Township Board vacancies and made new appointments to the Planning Commission and the Zoning Board of Appeals with individuals with similar points of view as Gonser’s. They are ‘stacking the deck’ with extremists to further their ‘agenda’. Citizens need to voice their opinions this fall when other appointed commission and board positions come up for appointments. We need to encourage the Board members to understand the facts before making changes to our Zoning Map and Ordinance. This entry was posted in Planning and Zoning, Supervisor Gonser and tagged Gonser, oakland township, Oakland Township Board, Supervisor Gonser, Supervisor Terry Gonser, Terry Gonser on April 28, 2014 by richardjmichalski. At the April 8th Oakland Township Board meeting, Supervisor Gonser commented on the current zoning of Oakland Township. He commented that Oakland Township Zoning not only drove the agricultural businesses out of the Township, but that it allows Oakland Township to be developed like Rochester Hills and Troy. Supervisor Gonser indicated that the Board needs to ‘change the zoning so it does not develop into Rochester Hill and Troy’. Trustee Bailey, who was on the Township Planning Commission for many years, corrected Gonser’s mis-statements. Trustee Bailey challenged Gonser’s comment as not being factual. For Gonser to suggest that it would have been better for the Township to not have rezoned the land from Agricultural to Residential, when the inevitable growth was coming, is irrational and quite frankly poor planning. Developers could have bought the land and then asked for all kinds of zoning. That is precisely why Rochester Hills and Troy are the way they are. One need only drive down Rochester Road from Oakland Township and witness the dramatic change in land usage as you travel South. The prior Township Boards and Planning Commissions have provided our Township a great service by protecting our Township’s natural beauty through the existing zoning and Master Plan. 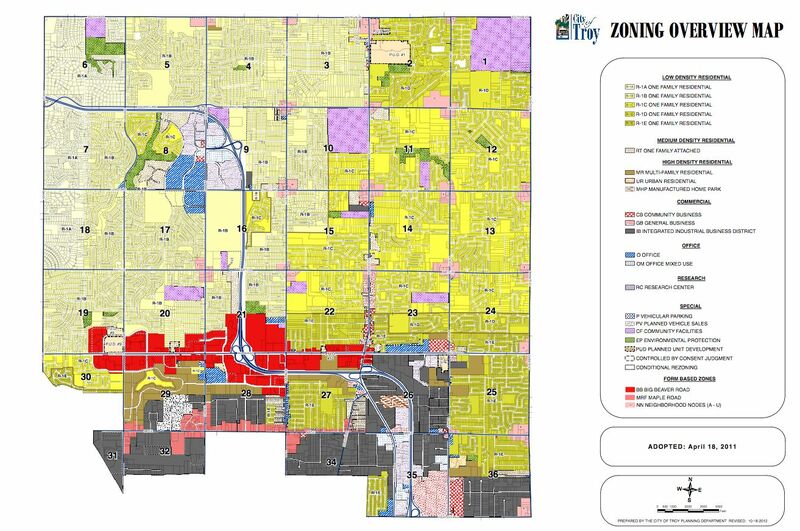 Attached are copies of the Zoning maps for Oakland Township, Rochester Hills and Troy. Supervisor Gonser needs to take a close look at these to recognize that what he said is not true. Why is this important to Oakland Township residents? Supervisor Gonser clearly has intentions of changing the zoning. As he has opportunities to place people, with like thinking, on the Planning Commission and the open position on the Board, he may have enough support from his followers that inappropriate changes will be made. The citizens of Oakland Township need to understand what his zoning intentions are. He needs to exhibit the transparency that he speaks so often about and share his vision of the zoning changes he wants to see. This entry was posted in Planning and Zoning, Supervisor Gonser and tagged Gonser, Mike Bailey, oakland township, Oakland Township Board, Supervisor Gonser, Supervisor Terry Gonser, Terry Gonser on April 18, 2014 by richardjmichalski. Treasurer Schmidt never gave supporting facts for his accusations. As the Treasurer of the Parks Commission, it is his responsibility, along with the other members of the Parks Commission, to make sure the funds are used properly. By his admission that he believes the fund is not being used properly, and has never identified the “things” he infers, he has failed to follow his oath of office. He had challenged the spending of $250 for the taxidermy of an owl from the land preservation fund, but he challenged it AFTER he had already approved it! The use of fund money for that project had been explained and justified. His actions (or inactions if his allegations are true) are grounds for a recall. His behavior has been a dereliction of duties. Why would an elected official make these accusations without providing the facts to support them? He and others have filed a complaint against other Commission members that Open Meeting Act violations may have occurred. That issue surely will be sorted out in the legal system. He accuses the other Commission members of ‘attacking our character’, again without providing factual examples. His unsubstantiated accusations are outside the bounds of what Oakland Township citizens should find acceptable. Here are videos of his comments from the two meetings mentioned above. Why is this important to the citizens of Oakland Township? The Treasurer of an elected Board has the legal responsibility to challenge anything he/she finds inappropriate regarding expenditures. To make accusatory comments, without the supporting facts, is inappropriate, and rapidly becoming the ‘new reality’ in Oakland Township. Please get involved in making sure our elected officials perform their duties and not make false accusations. This entry was posted in Board vs. Parks and tagged Board vs. Parks, oakland township, Oakland Township Parks and Recreation Commission, Parks and Recreation, Parks and Recreation Commission Treasurer Roger Schmidt, Parks Commission, Roger Schmidt on April 15, 2014 by richardjmichalski. At the April 8, 2014 Board of Trustees meeting a large number of citizens spoke their minds about the request to allow the Rochester Cider Mill to be developed to include a winery, a brewery, a public tasting facility and retail selling of wine and beer. The speakers were divided in their opinions pro and con and no single point of view dominated. While no one spoke against the cider mill itself, residents close to the property were concerned about traffic safety, alcohol consumption, the smell of the beverage manufacturing and property values. Those in favor spoke of the need to support the business, the history of six generations of the Barkham family in Oakland Township (they own the property) and the 80 year history of the cider mill. This proposal has not been reviewed by the Planning Commission, Township Planner or the Township Engineer because the Board is being asked to change the court ordered consent judgment that has allowed the property to be used as a cider mill during the normal apple cider season. The Board has the power to do this on their own without help and consultation. Supervisor Gonser clearly was ready to see it approved with no further information. Treasurer Langlois and Trustees Bailey, Buxar and McKay voted to table the decision until they could get an opinion from some of the professionals. We should thank them for that. Gonser and Thalmann were, again, in the minority with their “No” votes. Our Board of Trustees are the only ones with the opportunity to ensure that this becomes a quality development and a proper gateway to Oakland Township. This entry was posted in Board split?, Planning and Zoning and tagged Gonser, Maureen Thalmann, oakland township, Oakland Township Board, Supervisor Gonser, Supervisor Terry Gonser, Terry Gonser, Trustee Thalmann on April 10, 2014 by foulkrj.